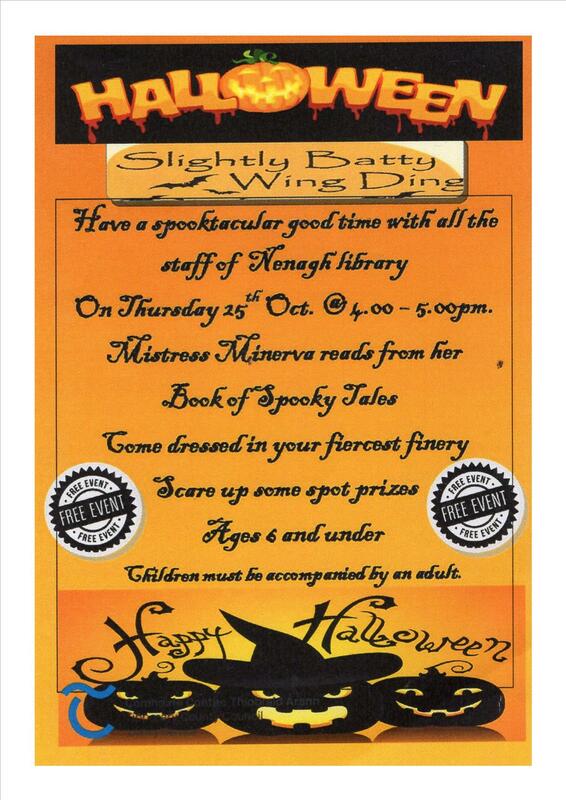 Mistress Minerva will visit Nenagh Library on Thursday 25th October from 4-5 pm. She will read her favourite stories from the “Book of Spooky Tales” so come dressed in your Halloween getup and be in with a chance to win some spot prizes. This is suitable for children age 6 and under accompanied by an adult.